Different people have different levels of understanding. Many people are considered as visual learners, meaning they learn better through visual cues. A chart is among such visual representations of information. Charts come in different types or kinds. Bar charts, pie charts, line charts, and flow charts are just few common examples of charts we are already familiar with. And as we know, there are different uses of charts, one of which we are going to discuss in this post. 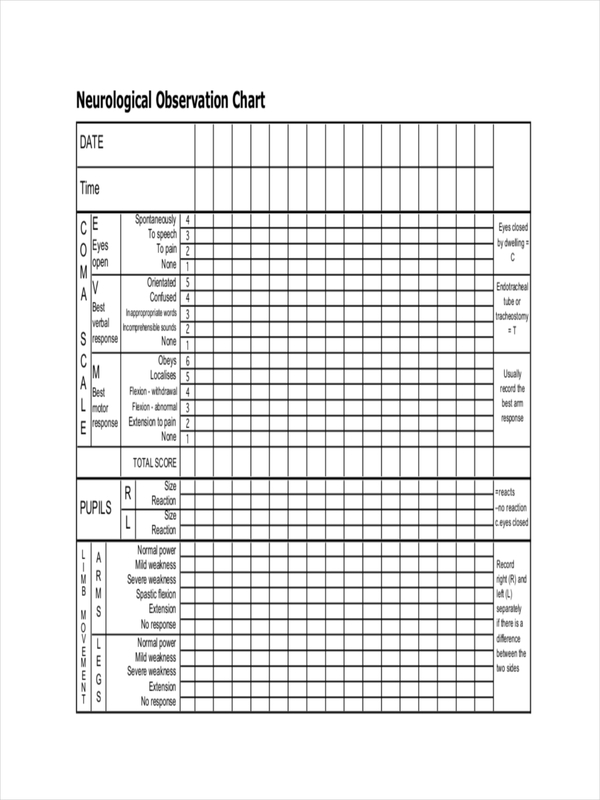 A medical chart is a chart which is primarily composed of a patient’s clinical status and medical history. 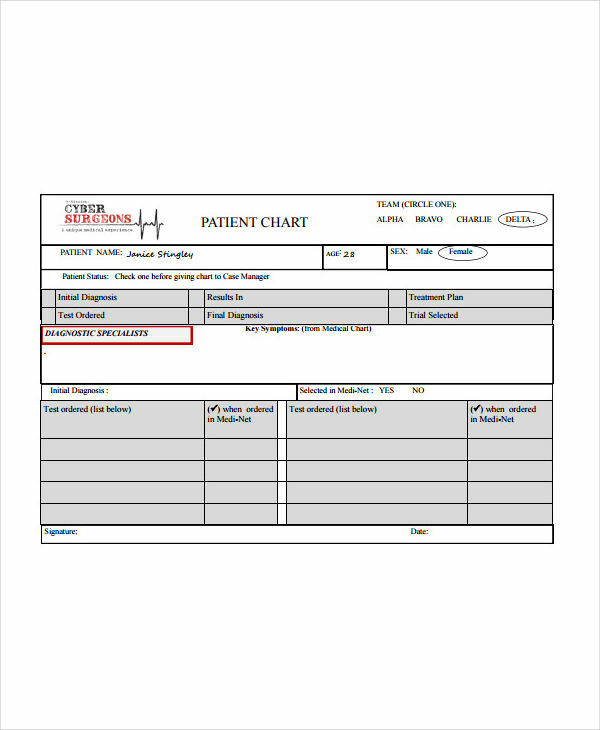 Medical charts are often filled with medical notes usually written by a physician, a nurse, and other authorized medical personnel or members of the patient’s medical team. A medical chart basically keeps the physicians and other medical personnel informed about a patient’s overall health condition, to conduct the necessary procedures for the betterment of the patient’s health. What Constitutes a Medical Chart? Typically, a medical chart include information relevant to the determination of a patient’s overall health status. This essentially includes a patient’s medical information since birth. 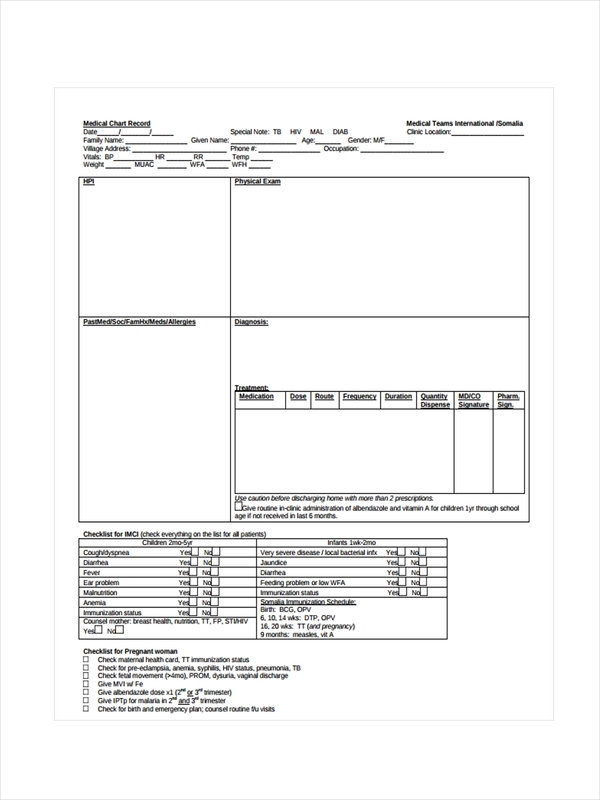 A medical chart needs to provide accurate information to the patient’s medical or healthcare team in order for them to provide proper care to the patient. Information may vary from one hospital or clinic to another. Some may include additional information which is not included on the ones listed above. A medical chart is essential for determining the necessary course of action for the improvement of a patient’s overall health status. 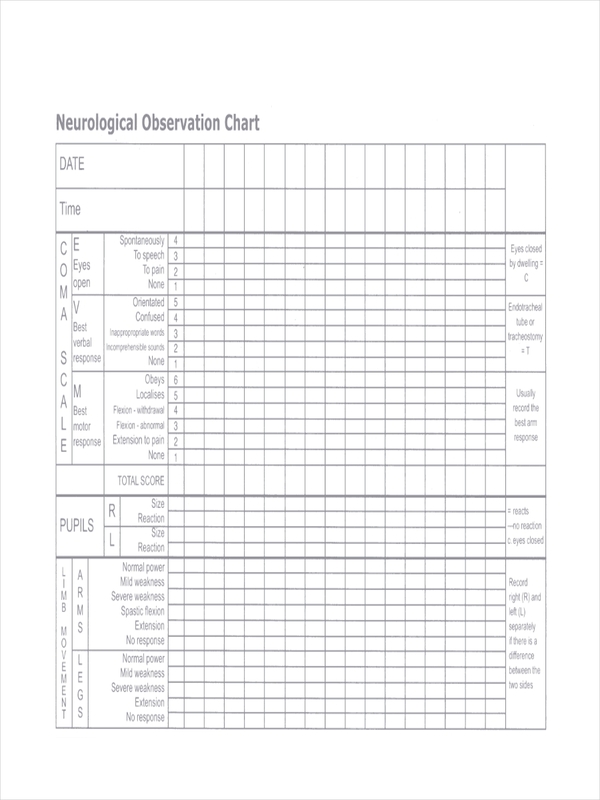 Creating a medical chart, therefore requires careful and critical thinking. Here are some things to consider in creating a medical chart. Know and understand the different medical terms involved. You need to be knowledgeable of the basic information to be included in a medical chart. Include all components of a medical chart. Refer to the list above for guidance. Make sure the information regarding the patient is accurate. Any errors must be corrected and addressed immediately to avoid any incidences which may harm or compromise the patient’s health. 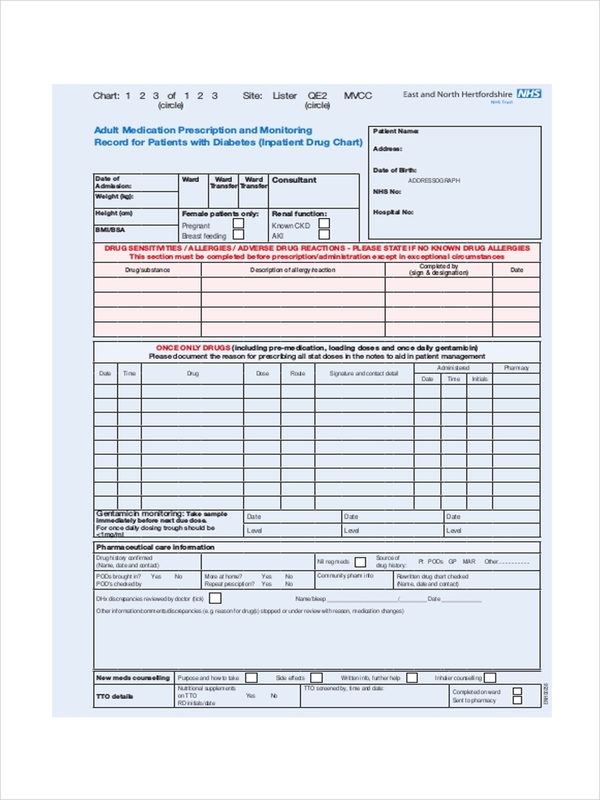 Follow the accepted protocol for creating and recording a medical chart. Keep the information on the records clear and specific. As much as possible, only include information which are useful and relevant to the patient’s medical records. Check and recheck a patient’s medical chart from time to time. 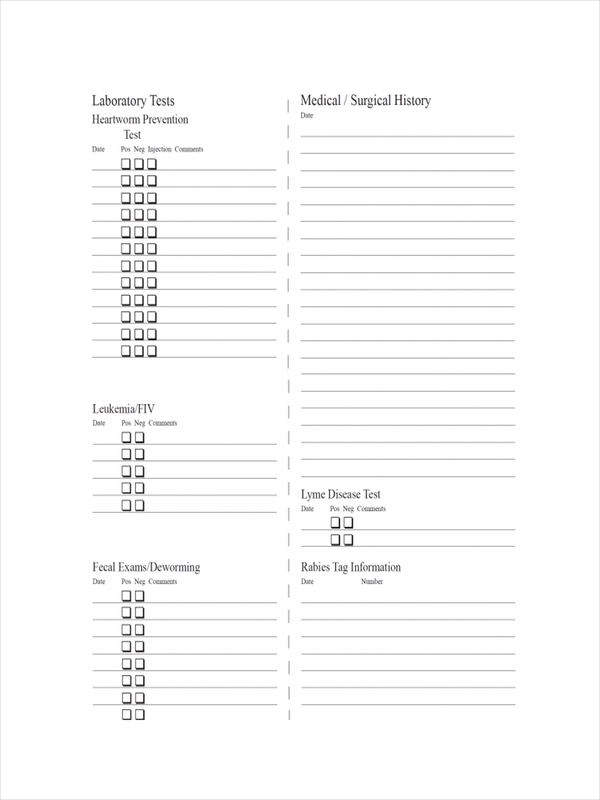 Make sure to track the patient’s progress and condition on a regular basis.